Kaya Whole Dried Chilli Pepper in 2.5oz (65g) tub. 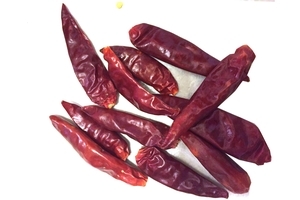 Pound in a mortar and pestle to make homemade chili paste or dry roast whole for garnish. Product of China.